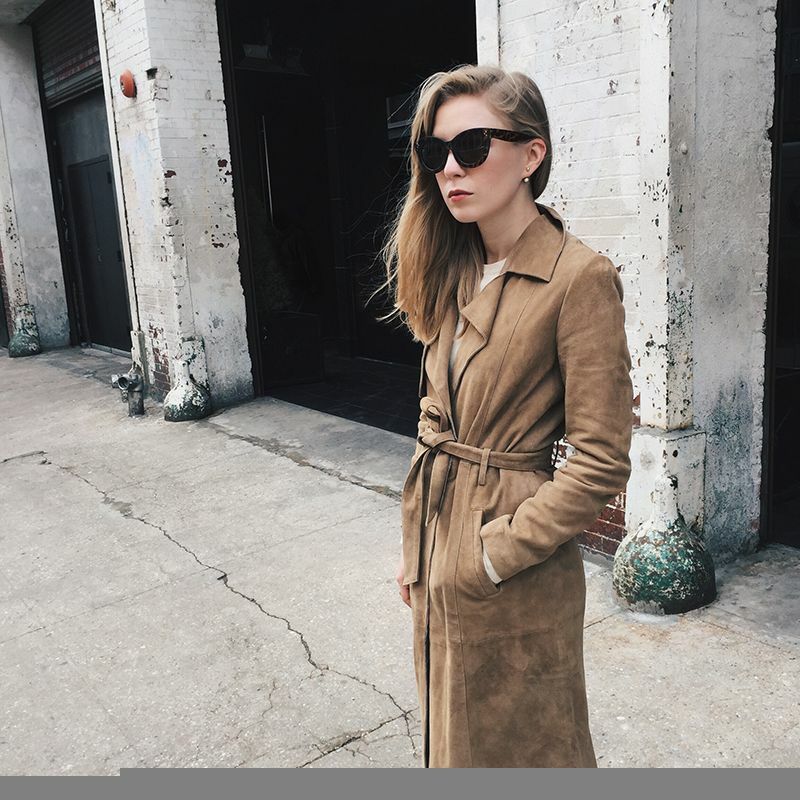 We got a little preview of spring here in NY yesterday and getting to slip into this suede trenchcoat instead of the usual 5 layers of wool and cashmere was quite magical. Today it’s not nearly as warm and I’m back in my winter coat again, but knowing that spring is just around the corner makes me SO excited! SUEDE TRENCH Gestuz. SUNGLASSES Mango. EARRING Sophie Bille Brahe. KNITUniqlo. JEANS J Brand. BOOTS Acne.